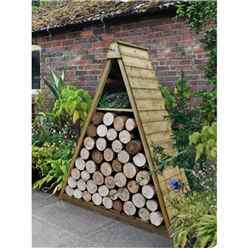 6ft x 4ft Pressure Treated Triangular Log Store (1.83m x 1.49m) ideal for your logs during the winter months. 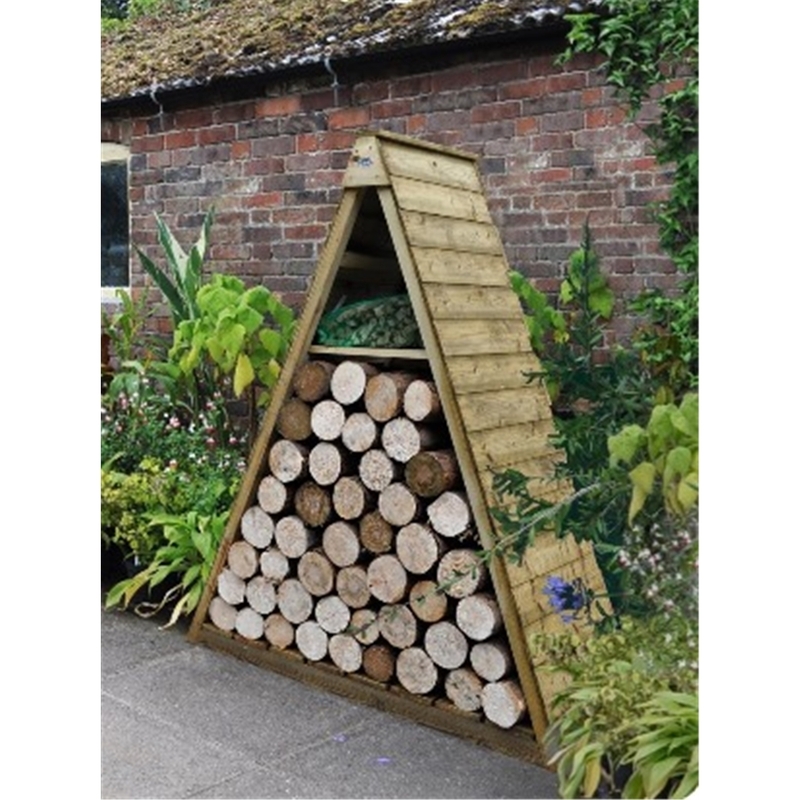 The Pinnacle Log Store will keep your logs protected from the elements while also creating an attractive garden feature. This store is designed to be placed against a wall to provide adequate shelter. In addition to the main storage area for logs, this store features and small shelved area at the top for storing kindling and tools. Manufactured from Pressure Treated timber, this store comes with a 15 year guarantee against rot and fungal decay. The panels have a shiplap Tongue & Groove construction which encourages rain water run-off. We recommend using a weed black fabric in the base of the store to prevent weeds from growing around your logs and making them damp.